Councillors in Horncastle are determined to get to the bottom of the missing defibrillator saga amid claims 35 of the vital life-saving machines have ‘disappeared’ across the county. The News revealed last week that there had been conflicting reports over the fate of a defibrillator in Horncastle Market Place. The equipment - which can help people suffering a cardiac arrest - was purchased by the town council at a cost of around £1,800. It disappeared from a cabinet mounted on a wall of the Lincolnshire Co-op pharmacy at the start of August. But the town clerk Gillian Mauger confirmed on Monday that the machine had been returned to LIVES HQ in the town anonymously. She said it has not been damaged, nor has it been used. 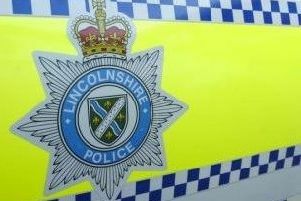 Initially, Lincolnshire Police said they were treating it as a crime and appealed for information after a drunken woman was allegedly seen carrying the defib’ away by a witness. According to police, the East Midlands Ambulance Service (EMAS) then told them they had taken the defib’ to a hospital A&E department and the incident was reclassified as a non-crime. However, EMAS has since said they have no record of them taking the defib’ and a search has failed to find it. Speaking at a town council meeting last week, councillor Angela Birchall said the whole saga was ‘unbelievable’. She said she had first alerted EMAS to the disappearance of the defib’ but claimed it had taken the organisation 10 days to contact her. She told councillors that in a telephone conversation with an EMAS employee, she was told 35 defibs’ were missing across the county. Coun Birchall, a former town mayor, said: “Someone, somewhere must know what is going on and we need answers. “I was told 35 defibrillators are missing and no-one knows where they are. Town councillors arranged a temporary replacement in the Market Place with a defib’ on loan from LIVES.